For a few years I’ve been sorting through a set of diaries and bundles of letters that were kept by my ancestor and crafting them into readable accounts. It has been a challenge as she often refers to certain aspects of her life which requires research. I have determined that Kate Tattersall carried out missions under the command of Lord Palmerston. These “clandestine taskings” began in 1849 with a voyage to Canton and ended in 1855 with a covert operation in Saint Petersburg. Translating has been a problem, but other than a bit of Russian it’s now all done. Kate was fluent in French, German, Spanish and Latin, and competent in Russian. She spoke a bit of Welsh, Italian and Portuguese. Being somewhat of a linguist must have been very beneficial for her. Learning several languages was expected of the nobility and made up a large part of their education. Kate’s record with the British Secret Service included missions in China, India, Ireland, Bavaria, England, Spain, Morocco, France, Turkey, and Russia. It was a time of great upheaval and many of her travels were perilous, the taskings all dangerous. It was very interesting to read about the people she dealt with while carrying out her covert operations. Likewise, the events she lived through, and how she affected them, were extremely interesting times. Some of her actions had an impact on all of Europe. She retired in 1855, at the age of twenty-one, and travelled extensively. 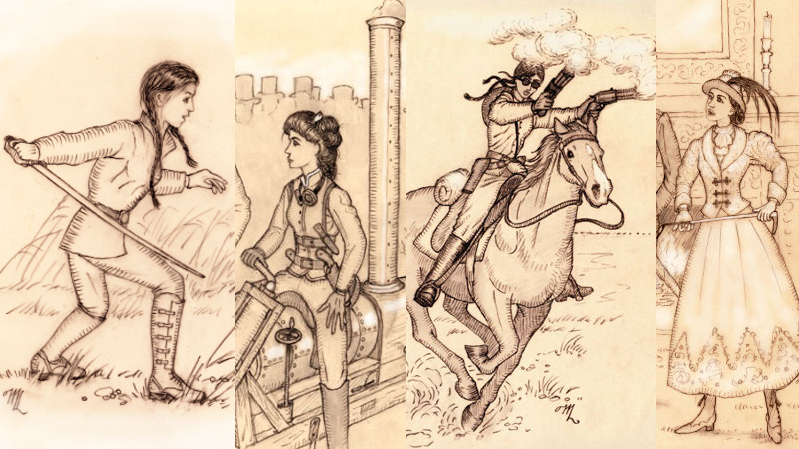 These “expeditions” she undertook after the Crimean War were also exciting and hazardous. 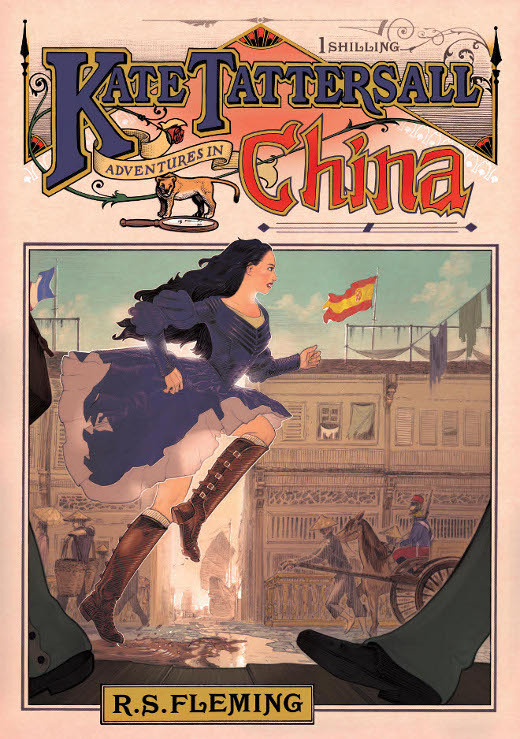 Kate Tattersall as she may have looked while travelling through the frontiers of Morocco, Turkey, or Russia, by M. Lane. 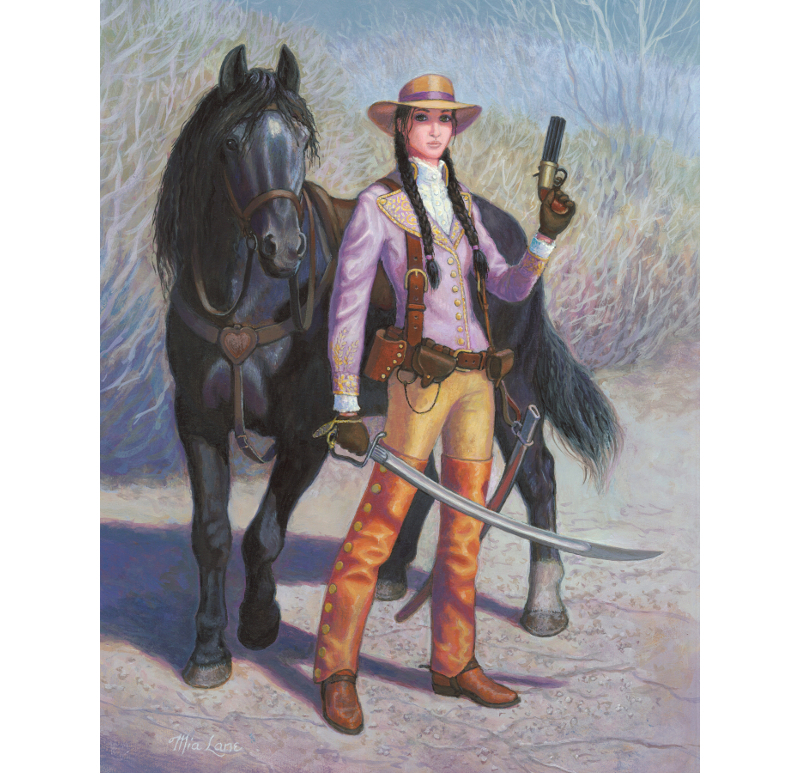 She wields a six-shot .35 calibre revolver, one of a pair, and a custom model 1811 Blucher light cavalry sabre with silvered guard and scabbard. She wears a practical sun hat and silk shirt, stays, and chemise. Kate’s fine wool lavender jacket may be from her half mourning period, then dressed up with gold buttons, galloon trim, and embroidery after. Her breeches would be crafted of the finest chamois, with tailored drawers underneath, and her spatterdashes of a heavier leather. Of course her custom made boots are of the highest quality, and she wears luxurious silk hose and wool stockings. Kate would have had a matching lavender skirt to don over her breeches when nearing a town. It’s hard to find good stories and information on the early Victorian era (everything seems to be late Victorian), but you make this fun! Thanks! I’m looking forward to these. It looks really good. I wish there were more sites like this. I didn’t know where else to put this. I just read your book. I got it from amazon. It was great. I wish more were available now. Thanks for the great stories.